Welcome to the first Frugal Friday of 2015! 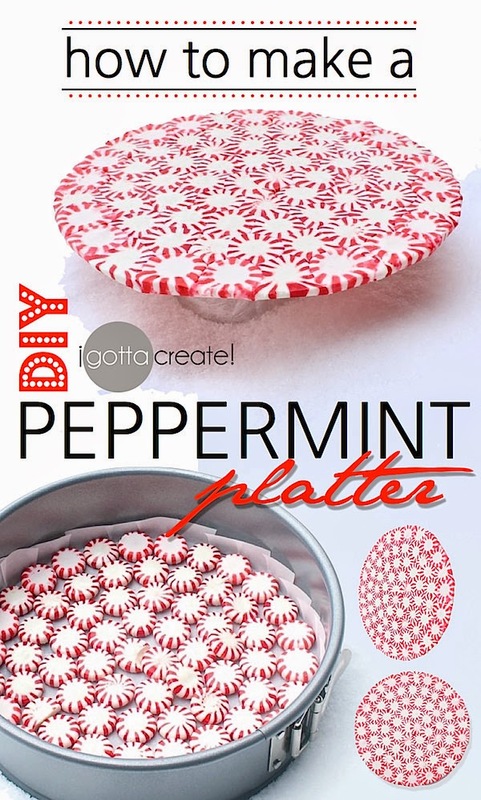 I absolutely adore this peppermint candy plate shared by I Gotta Create! It's made out of actual peppermint candy and is incredibly cute...do you think someone could figure out how to make into a cake stand? Ha! I don't have a post to link up, but that cake plate is amazingly genius. Thank you for sharing. Mmmm…a chocolate fudge cake would be scrumptious on a peppermint stand. gelukkig nieuwjaar to you too!!! Thanks for featuring my peppermint plate, Wendy.